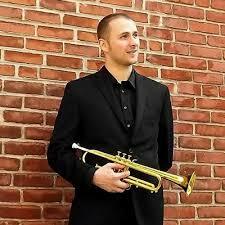 This time I would like to introduce an album from Vince Tampio, a professional trumpeter, arranger, composer, and multi-instrumentalist based in Philadelphia, PA. 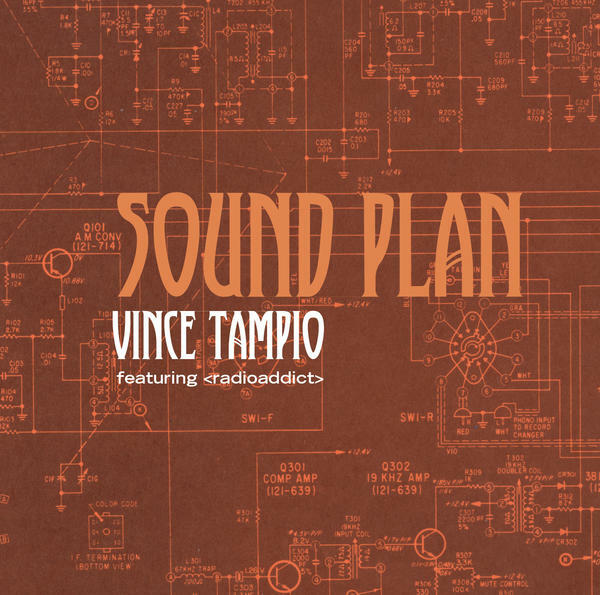 He released his album “Sound Plan” on November 7, 2017, which is an instrumental jazz album that combines acoustic and electronic elements from Psychodelic Rock and Electronic Dance Music. Something new to me, and so I had to ask Vince to give me some background about this album, which he was generous to share with me and which I will also share with you. 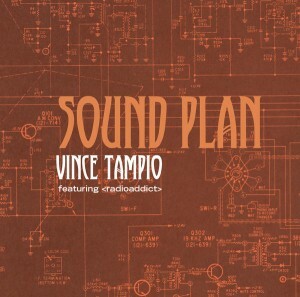 Vince started to work on this album in 2013, but it took him almost 4 years to finish his work because he produced three other albums in this time and Sound Plan had just to wait until it became ripe. He wrote, performed, engineered, and produced all the trumpet, synthesizer, acoustic guitar, and bass parts. Drum programming came from <radioaddict> and Ben Diamond played much of the live percussion. Inspiration for the album came from different sources like Pink Floyd, Miles Davis, Herbie Hancock, Isaac Hayes and Stevie Wonder. The album begins with the song “Sonic Ember”, a combination of two songs that share parts of a chord sequence. The first part “Sonic” is played almost exclusively on electronic instruments and after 5:30 mins the second part “Ember” starts where we hear Vince playing the trumpet the first time, a soft melody with long notes accompanied by a guitar only. The dichotomy of electronic and acoustic instruments is set aside in the next song “Slimery”, where the trumpet plays melody and improvises over a combination of electronic background, bass, an acoustic guitar and programmed drums. The tune stays in it’s mode during the trumpet solo and culminates after 6:20 mins when the synthesizer takes over. Vince explained to me that this composition is the only one which he played live with his band Quatrane. The third song on the album is called “Afternoon” and starts with an acoustic guitar playing a simple rhythm. This song has the most metric modulations. The percussion plays an important role here and has a solo part before the trumpet takes over. The tune was written on a summer day on the beach and has this feeling of easiness. The next song “The Phantom Sweet Potato” is my personal favorite, very groovy with focus on the acoustic instruments guitar, percussion and trumpet. It was written specifically for this album and I hope it becomes also a tune that is played live. The fifth song “LT” changes back to the electronic dominated sound, the guitar and percussion however play an important role. The album closes with the title song “Sound Plan” where all the elements we have seen before (acoustic guitar, percussion, trumpet and the electronic instruments) are combined one more time into the typical blend of this album. The song reaches a peak after 2 mins with the finish of the trumpet solo. An extremely long fade out ends the album. So how should you listen to this record? Take your time and listen to the complete songs or even better to the complete album. Don’t jump quickly from one song to the next one. It’s really worth to do it this way. I hope that you can enjoy it with the additional information given. I have to admit that I felt a little bit overwhelmed with this kind of music, but Vince was so generous and patient and explained the album very well to me, which helped me to discover this facet of contemporary jazz music.